US midstream companies appear to be realizing the value of going digital. But questions remain—most importantly, how to overcome the unique challenges associated with a fee-based yet highly dynamic industry, dominated by huge legacy assets? Given the current hype around digital technologies, it might be easy to imagine them as a ready fix for managing evolving business challenges. For instance, the industrial Internet of Things, a part of the broad digital opportunity, is projected to add US$15 trillion of value to the global economy by 2030.1 But when the industry in question is undergoing a fundamental change because of shales, how can US midstream companies not just adopt a digital mindset but also derive actual value from going digital for its legacy and new assets? The extent of digital adoption in the midstream sector will likely depend on companies’ receptiveness to change—while some of them are realizing that even pipes, valves, etc., can be “smart,” the fact remains that only 50 percent consider existing data management as a high-priority item.2 Understanding the value of digital—a data-driven approach can potentially reduce annual downtime by 70 percent and bring down unplanned cost to 22 percent of the total, compared to 50 percent currently3—may be of utmost importance for midstream firms, as they start on this path of digital transformation. More importantly, in the long term, digital technologies could help lessen the high capital intensity of the industry. This paper, the second in our series on digital transformation in O&G, maps the digital standing of all major segments of midstream, identifies near-term digital leaps that companies can take to meet their near- and long-term objectives, and puts forward a comprehensive road map for companywide digital transformation (see the sidebar, “Deloitte’s Digital Operations Transformation Model” or From bytes to barrels: The digital transformation in upstream oil and gas). Nevertheless, a deeper look into this growth suggests that several strategic and tactical challenges should be cleared as companies outline their growth strategies. As volume growth is likely to be most focused on key prolific basins, opportunities are expected to be fiercely contested by large midstream and even upstream players—over the next five years, 60 percent of oil and gas volume growth in the United States will likely come from the Permian and Appalachian regions, respectively.6 The competition aspect may also play out strongly in attracting capital, especially from private equity investors who have lately expressed interest in gathering and processing (G&P) assets.7 Further, the short-cycled nature of shales could test the flexibility of midstream companies where misplaced infrastructure investment may either lead to stranded assets or significant opportunity losses. This context implies executives should address three big questions as they plan their growth journey: How do you ensure sustainable growth and create business value in a dynamic and competitive business environment? How can you optimize the operating and business model of an industry with a huge legacy asset base? How do you protect this value and growth from the potential risks? Although sound technical and business excellence of operations can help midstream players, the diversity and complexity of midstream assets tend to require technological solutions that can unearth hitherto hidden value. We propose embracing digital technologies could be the key to working successfully in a dynamic business environment. From an investment perspective, the prevalent Master Limited Partnership (MLP) model in the industry has always prioritized growth over maintenance, restricting the emphasis on digital upgrades—for an asset-intensive industry like midstream, maintenance capex has mostly remained below 10 percent.12 Besides, there seems to be a lot of ambiguity around where to channel the limited digital investments and which technology is most likely to address specific business needs. Getting started on the digital journey would require companies to conduct a detailed digital assessment at an operation level using a comprehensive model. This can be enabled by Deloitte’s DOT model—a framework designed to explain the digital journey through 10 stages of evolution, with cybersecurity and digital culture at the core (see the sidebar, “Deloitte’s Digital Operations Transformation (DOT) model”). Deloitte’s Digital Operations Transformation (DOT) model is a road map—a digital journey of 10 milestones, where the leap from one milestone to another marks the achievement of specific business objectives, and puts cybersecurity and digital traits at the core. Although the journey technically completes at stage 10 for an asset or operation, it must be broadened and started again to include a wider set of assets or business segments, the entire organization and, ultimately, the ecosystem of a company, including supply chain and external stakeholders. A comprehensive cyber risk management program that is secure, vigilant, and resilient (read Protecting the connected barrels) and an organization’s DNA that would enable this transformation remain at the core of the model. For more details on the model, please refer to the article From bytes to barrels: The digital transformation in upstream oil and gas. Charting a digital strategy that can engage midstream strategists typically requires a narrative that focuses on assets or the value chain and then aligns the operational objectives with digital technologies. While acknowledging that the variability of business units and time frame to execute digital initiatives would differ from company to company, this paper outlines the digital transformation road map at an aggregate value chain level, that is, starting from gathering to processing, and finally, to storage. Although each operation is critical and needs a digital focus, we have highlighted only one key operation under each aspect of the value chain, so that the methodology and implications can be discussed in detail. At an overall level, storage operations seem digitally ahead of other midstream operations. A focus on safety and efficiency has likely helped storage operations, while a legacy asset base and upstream volatility have generally restricted other operations from reaping the benefits of digital technologies. Even within these operations, some are digitally ahead, while some are still catching up—within storage, for instance, terminal operations are much more mature than tank management systems. Are the logistics hubs well-located? What multimodal solution should be adopted? What is the optimal trade-off between bearing extra operational cost vs. investing to build infrastructure? The deployment of sensors and communication networks is a prerequisite for trunk lines, an operation where computational monitoring via PVT (pressure, volume, and temperature) analysis, controller monitoring via SCADA systems, and scheduled line balance calculations are a regular affair.18 Of late, this segment has fast progressed to an advanced sensorizing stage in the DOT model as companies are trying to enhance their response strategy during an incident. For instance, some companies are now deploying unmanned aerial vehicles (UAVs) to take readings at sensitive pipeline points using thermal, infrared, light detection and ranging, and multispectral sensors in real time.19 Although new pipelines are often pre-equipped with such technologies, there is a significant opportunity to upgrade legacy infrastructure and even generalize sensor deployments throughout the pipeline network rather than sensing only key junctions. Such innovations may seem essential, but since there are competing cash priorities, a good approach could be to invest in solutions that create value from existing data using advanced algorithms. For instance, a service provider is helping companies implement a vigilant as well as a resilient cyber strategy by copying data from an existing SCADA network and running continuous algorithms on it to establish baselines and detect anomalies in real time.26 Similarly, a consortium of pipeline companies is working with a vendor to develop a platform where they share their complete historical pipeline data and proprietary algorithms allow them to predict when and how a failure may occur on their pipeline segments.27 Solutions such as these don’t add latency, require less capex, and, most importantly, are easily scalable. Such solutions could extract the most value from specific scenarios, but even better would be to have a digital solution that augments the behavior in any possible scenario by running self-learning algorithms on huge data sets. Some LNG companies along with a European vendor are attempting to unlock new business value by first assimilating terminal operations with data on spot prices, vessels, potential delivery port, tides and weather, contractual obligations, operations and maintenance costs, open buy/sell contracts, etc., and then using its proprietary supply chain optimization algorithms to find the most profitable action in any possible situation.33 Such cognitive analytics can enable terminal and fleet operators to turn idle asset time into opportunity, manage disrupted schedules due to market constraints, seize spot opportunities, and understand the exact financial consequence of day-to-day business decisions. To realize such gains, companies could consider exploring the digital-to-physical loop of the DOT model where they can make an impact on the physical state of the assets. This leg of the digital road map would require companies to leverage augmented robotics to efficiently lay down pipelines; adopt advanced crafting techniques to high-grade pipeline parts and optimize logistics cost; and virtualize assets for effective planning and execution. As an industry that is at an early stage of digital maturity, the aspect of digital-to-physical may seem ambitious. However, some small cases and initiatives in recent years suggest that the industry is making headway in this direction. For example, a robot named Ryonic Armadillo has been designed with advanced sensing and imaging capabilities to survey any sort of rough or underground terrains.36 Similarly, a Chinese additive manufacturing company is working for CNPC to explore if electron beam manufacturing can be commercially done for large pipelines and its components. Apart from the established benefits of 3D printing, this project aims to ensure that there is no residual stress on the crafted parts.37 Further, a consortium of companies and research institutions in Europe have combined 3D printing and robotics to develop a prototype model called BADGER that can trench/drill the path, while simultaneously 3D printing and laying down pipelines.38 For now, this initiative is focused on gas and water lines, but once commercialized, it can be replicated for O&G gathering lines. As soon as companies are able to complete the loop of the DOT model at an asset or business unit level, they should consider scaling it to the company and, then, to an ecosystem level. A gradual succession of digital efforts would often make a lot more sense for midstream players as they typically have a limited pool of money to invest. Every completed loop would add clarity to the digital road map and could reveal new operating and business models for a company. While planning a long-term digital road map, companies should consider the fact that failing in a digital transformation effort is as easy as it is to get fascinated by the benefits of technological solutions. Digital transformation is generally a multiyear playbook that requires continuous calibration and multilevel communication, rather than a one-time investment. To enable this, midstream companies, along with their vendors and investors, should consider incorporating the below-mentioned digital traits to benefit the entire ecosystem. Cultivate new and different pools of talent: Accelerate the transformation process by using talent as a catalyst to innovate and collaborate in a way that can fundamentally drive outcomes of digital efforts. Drive digital deployment from the board room: Realize that true transformative benefits of digital typically demands commitment from the board level and establish the role of the CIO and data managers. Address common challenges, together: Avoid sub-optimization of digital investments by ignoring legacy asset base and come together as an industry to address asset integrity issues by collaborative, not competitive, learning. Reward digital efforts: Realize the low-risk profile and potential upside of digital investments and promote them in parallel with investments on volume or throughput growth. Bring in their expertise: A broader pool of investors, especially tech-savvy private equity firms and institutional investors, could help management envision, plan, and execute long-term, technology-driven transformation. Build on existing workflows: Make the best use of already standardized process flows (or data) and focus on integration and visual elements of analytics to possibly give midstream strategists a feel of technology (e.g., collaboration rooms). Balance aspirations and needs: Maintain a balance between cutting-edge innovations that can drive differentiated value and nonintrusive, low-cost solutions that generally deliver quick ROI and build confidence for mass acceptance of digital. The mapping of each midstream operation on our Digital Operations Transformation (DOT) model is based on extensive secondary research on the process flows and study of some of the latest solutions and technologies provided by major automation and software firms. Further, the near-term digital leap is defined based on the objectives that most of the companies are trying to achieve from their respective operations. These business objectives were established by the detailed examination of recent corporate presentations of various US and global firms. Further, they were aligned with the stages in the DOT model by developing and analyzing an inventory of research on new digital solutions that are being implemented or planned for various midstream operations. 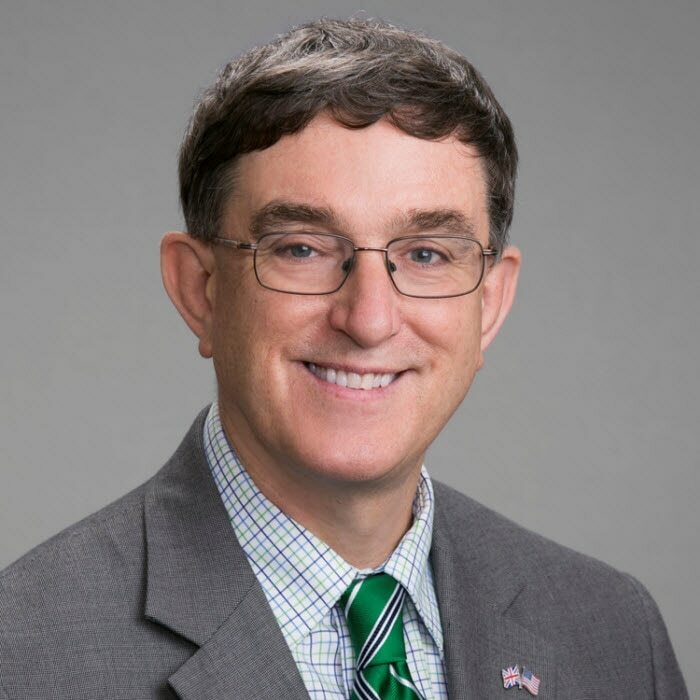 Andrew Slaughter is the executive director of Deloitte Services LP’s Energy, Resources, & Industrials (ER&I) Research & Insights group. He is based in Houston, Texas. 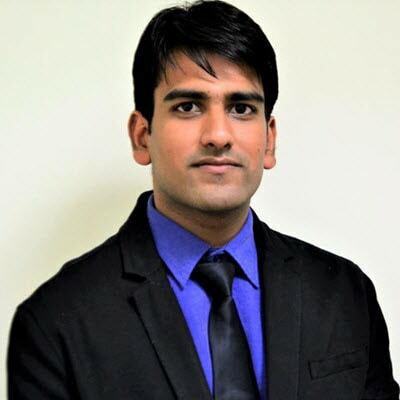 Anshu Mittal is an associate vice president in Deloitte Services LP’s ER&I Research & Insights group. He is based in Hyderabad, India. 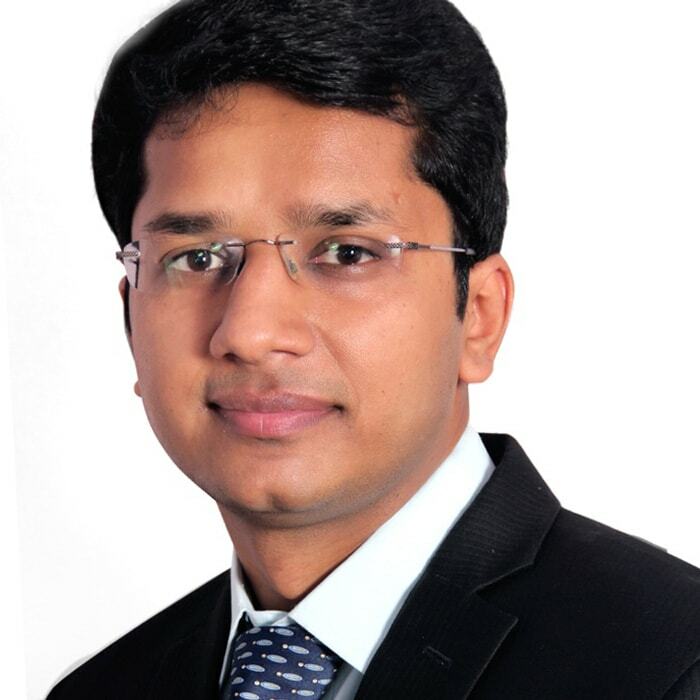 Vivek Bansal is a senior analyst in Deloitte Services LP’s ER&I Research & Insights group. He is based in Hyderabad, India. The authors would like to thank Duane Dickson (US Oil, Gas, & Chemicals leader, Deloitte LLP) and Betsy Kruse (manager, Deloitte Consulting LP) for their review and guidance throughout the life cycle of this publication. Special thanks to Rithu Mariam Thomas (assistant manager, Deloitte Support Services India Pvt. Ltd.), Joanie Pearson (manager, Deloitte Services LP), Laurel McConn (manager, Deloitte Services LP), and Sonya Vasilieff (art director, Deloitte Services LP) for their contributions in editing, design, and deployment. Deloitte’s Digital Transformation practice helps companies assess their digital standing, identify areas for business objective achievement, and establish a long-term digital goal by developing a coherent road map. Our deep industry experience and technical expertise can further support firms in establishing internal capabilities, assessing relevant technologies, and prototyping solutions for both results and scale. To better understand Deloitte’s perspective on the digital transformation in oil, gas and chemicals, please contact any of our specialists listed in the contacts section. The new frontier has been added to your bookmarks. The new frontier has been removed from your bookmarks.